Realme 3 vs Redmi 7 Specs Comparison - Buy now or wait? Home Tech Specs Comparison Realme 3 vs Redmi 7 Specs Comparison – Buy now or wait? Realme 3 finally gets its official pricing in the Philippines – Php6,990(3GB/32GB). 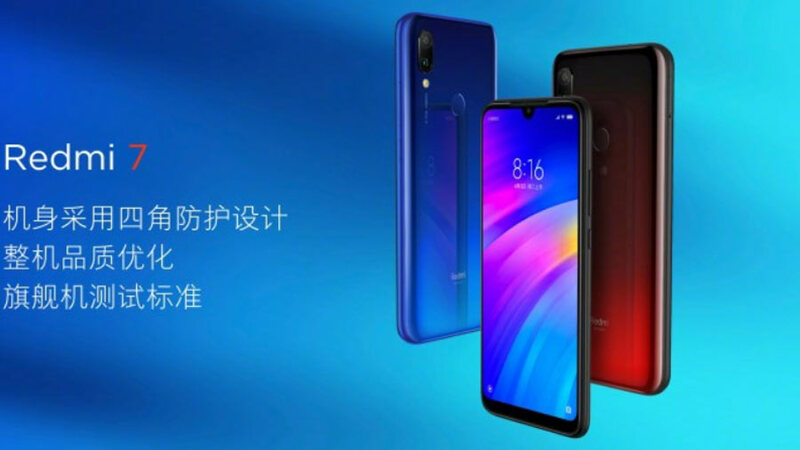 However, Xiaomi recently announced the Redmi 7 which could arrive at the same price. This time, should you even wait for the new Redmi device? Which is a better buy between the Realme 3 and Redmi 7? The design construction and material of Realme 3 and Redmi 7 are the same from the notch to the camera placement on their polycarbonate bodies. Only the former has a sharper notch while the latter has an edgier look instead. But what could be the clincher for Xiaomi’s device are the newer Corning Gorilla Glass 5 with P2i nano hydrophobic coating for splash resistance. When it comes to performance, the Helio P60 inside the Realme 3 is around 10% faster(based on Geekbench) compared to the older Snapdragon 632. Despite the small difference, both are running Android 9.0 Pie with their respective UI designs. The camera will come down to user preference as it’s too close on paper with 13MP + 2MP(Realme 3) vs 12MP + @2MP(Redmi 7). But do take note that Xiaomi’s budget device can record up to a smoother 60fps. As for the selfie camera, expect better quality from the larger 13MP of Realme. Other features are present on both devices with the audio jack, fingerprint scanner, and micro USB port. Although both come with at least 4000mAh battery, Realme 3 takes it further to 4230mAh. Realme 3 has official prices of Php6,990 (3GB/64GB), Php7,990 (3GB/64GB), and Php9,990(4GB/64GB). While Redmi 7 is estimated(before taxes) to arrive at Php5,500(2GB/16GB), Php6,100(3GB/32GB), and Php7,800(4GB/64GB). Xiaomi normally wins the budget segment but Realme 3 has proved, with its better SoC and slightly larger battery, a perfect fit for budget gamers. But given the small difference in price and features, Redmi 7 is also a decent choice should you want smoother video recording and larger file repository. Check out: Realme 3 Full Review: New Budget Smartphone King? REDMI NOTE 7 po ba yan?